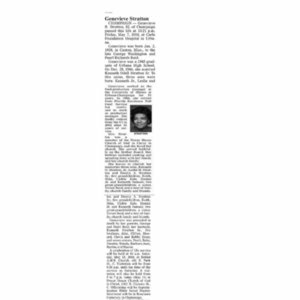 This is the Obituary of Mrs. Genevieve Stratton who is the widow of Mr. Kenneth Stratton,Sr. Mr. Kenneth Stratton was the first African-American to serve on the Champaign Unit#4 School board. 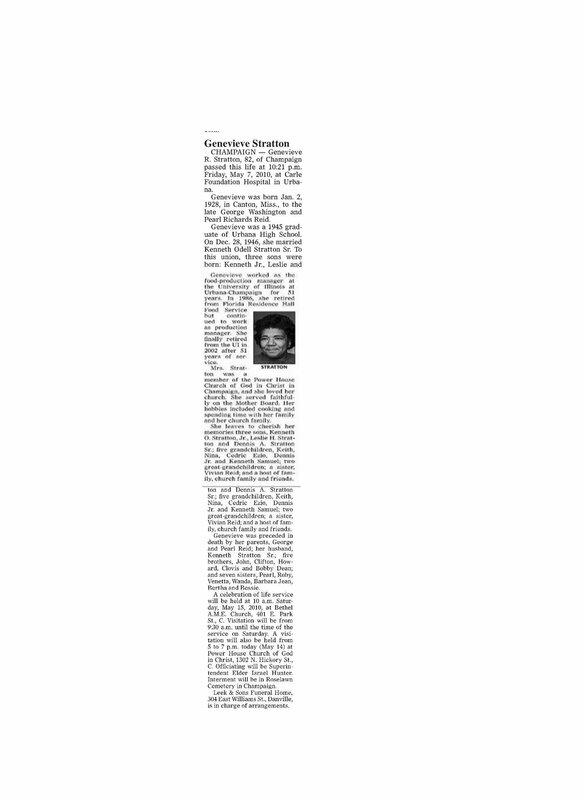 “Genevieve Stratton Obituary,” eBlack Champaign-Urbana, accessed April 18, 2019, http://www.eblackcu.net/portal/items/show/317.